What Is The Difference Between an HTTP Web Proxy and Socks 4/5? From time to time you might experience some difficulties accessing a website. You may get an annoying message informing you that the website you are looking for is not available or that the URL you just typed is blocked. Bummer! That may happen because of geo-restrictions, which means that certain contents are available only in specific regions. Some websites, instead, are restricted when at schools, colleges, government offices or IP restricted areas. If you still want to visit these web pages, a web proxy can be very useful. A proxy can easily help you bypass geo-restrictions, location errors, or other blocks that prevent you from enjoying online contents. Some people might argue that a VPN connection can also assist you to access blocked websites. That’s absolutely correct and, in fact, VPNs are the best way to access blocked contents. However, VPNs are not free, while many web proxies are. This is by far the most appealing feature that makes people prefer a Web Proxy over a VPN. In addition, a web proxy also allows you to surf the internet anonymously more or less like a VPN. They achieve this by rerouting all your traffic through their servers to access the websites you want to visit. As a result, your real IP address is hidden and substituted by the one assigned by the proxy server. This trick gives you a certain degree of anonymity. Web proxies are easy to use, you just need to access a popular proxy website and enter the URL of the blocked website. You may quickly test how easy it is if you use the free web proxy we have on our website. In simple words, a web proxy acts as an intermediary server between you and the web server. When you toss a request, it is sent to the proxy. The proxy reaches out to the website and gets the requested webpage and sends it to you. This way you don’t reveal your own IP address. 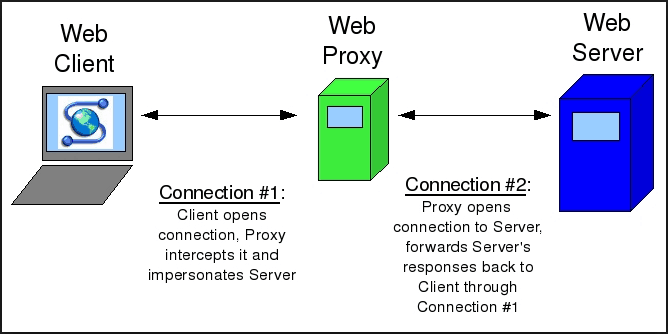 Below is an illustration of how a web proxy works. In general terms, a proxy is an entry application used to direct Internet and web access from a blocked region/firewall. Web proxies operate by initializing a socket on the server that allows traffic to pass through. Usually, it is only a single server that is used by many clients who can access the web proxy. All clients can only access the internet through that server as a gateway. Receiving requests from the client server. Sending requests to the web server through a firewall. Sends the response back to the client server. In most cases, a single proxy server serves a lot of clients accessing it. The proxy can therefore efficiently cache documents requested by all its clients. Create a network application data storage. SOCKS5 is preferred over SOCKS4. SOCKS4 only connects the requests, sets up the proxy and transmit the application data. SOCKS5 instead supports authentication and encryption of data being transmitted. Configuring SOCKS5 is also easier and in addition, it supports UDP and TCP. Both web proxies and VPNs provide you with anonymity while surfing the internet. It is just a question of how much anonymity you prefer. They can all provide you with internet confidentiality and break the geo-locations restrictions. A web proxy and VPN deliver their services very similarly by acting as an intermediary.They both hide your IP address and respond to your requests. 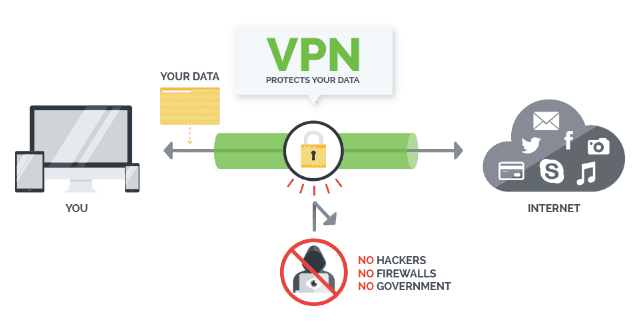 The difference is that a VPN needs a channeling process that establishes a direct and solid connection to you and the VPN server. A web proxy is simply an open port that anyone can connect to. While using a web proxy, a single IP address is used by all the clients connected to the proxy (especially for the public proxies). With a VPN you will always need to log in and authenticate, and each client is assigned a different IP address. VPNs are more secure than web proxies. A web proxy will only do a basic job by replacing your IP address with another but it will not encrypt your data. With a VPN all traffic is hidden thanks to the channelling method. Proxies tend to be faster than VPNs, especially the ones you pay for. This is due to the fact that a proxy doesn’t encrypt your data. Good VPNs are very fast too but due to the structure of the network and the encryption process, they tend to be slower than web proxies. Since less technology is involved, web proxies are usually cheaper than VPNs. You can even find many reliable free web proxy. However, nowadays VPNs are also very affordable as they could go to as little as $3.5 per month. Considering the big difference in security level, a VPN should always be preferred if you really care about your digital safety and privacy. You may find even a selection of reliable free VPNs, but a free service must be used with extreme caution. Below we have listed the best free proxy sites.